When I think of the worst horror films ever made, my mind often goes back to my favorite tv series of all-time, the late great Mystery Science Theater 3000. Over its eleven season run MST3K unearthed some staggering low-budget “horror” clunkers, but one has always reigned supreme in my mind as the worst horror movie of all time. 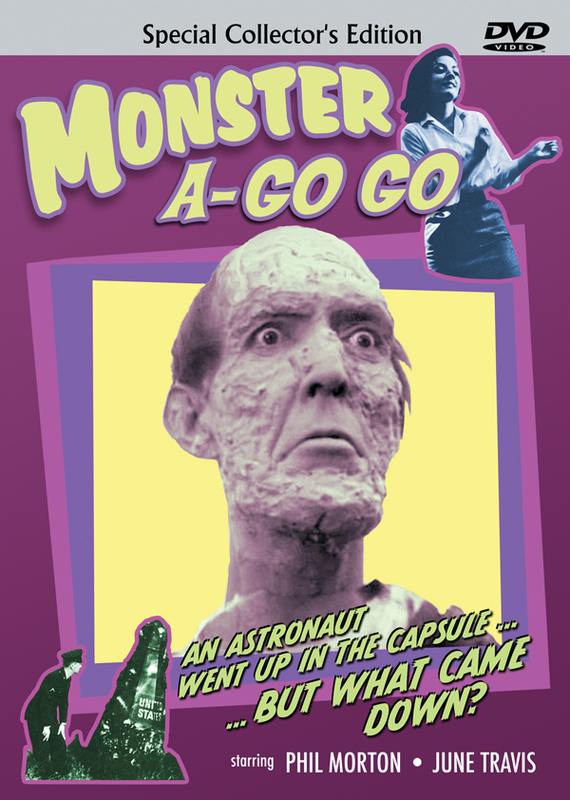 The movie, 1965’s Monster a-Go Go. Here’s the plot, or what of it I can figure out. Somewhere in the dingy, bleak country side of southern Illinois a NASA spacecraft has crash-landed. The spacecraft, resembling a metallic dunce hat of normal size, is recovered by NASA’s team of two men, who suddenly end up dead. As the dull voice over narrator tells us “they were horribly mutilated in a way no one had ever seen before.” Well, no one continues to ever see those ‘horrible’ mutilations as they aren’t shown on screen. Very little is ever shown on screen, including the “monster” itself, which is a bumbling bald man with bad skin. The tale staggers on through drawn-out scenes of men in suits droning on, drugged scientists puddering around, and ‘hip’ teenagers dancing to the finest of 50’s canned swing-music. At some point, the movie ends with a whimper, as it attempts a Twilight Zone-type “irony” ending that irritates far more than mystifies. I’ve always said that the worst thing a film can do is bore its audience, and that’s what Monster a-Go Go does in mass quantities. I find it amazing that even in the drive-in circuits of ’65 that this movie ever found any distribution. On a final note, this movie currently ranks #4 on IMDB’s bottom 100 Films. I find myself wondering why it didn’t make #1, but I don’t think I want to find out why.